Domestic violence is more than just a “family problem”; it is a crime. 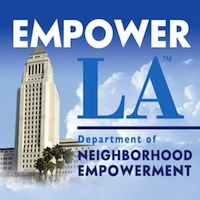 The Los Angeles Police Department (LAPD) recognizes that domestic violence is a major problem in Los Angeles County and throughout the United States. Each year, more than a million women are the victims of domestic violence, and one million children are physically abused. In California, it is a crime for any person to threaten, beat, sexually assault or otherwise cause harm to another person, even if they are married. Battering is not exclusively a crime against women, but they are the majority affected. One of every two families in the United States is involved in domestic violence at some time. Domestic violence is a repetitive pattern in people’s lives. Victims or witnesses of domestic violence in childhood are most likely to repeat such acts as adults.